How old is your roof? If its asphalt shingles and its 20 years old it could be time to replace it. It could also depend on how many layers of roofing you have and if its properly ventilated. If you’ve lived there a while and you don’t know when was the last time it was replaced, you should think about getting your roof inspected by a professional. View your roof from outside. Are there any sagging areas in the roof or any other obvious issues? If its sagging it could mean the sheathing underneath has deteriorated. 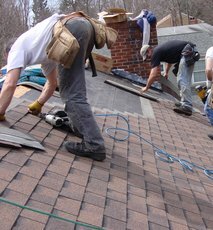 Inspect the valleys carefully, because this is where snow and rain flows from your roof to the gutters. Are there a lot a lot of granules in the gutters when you clean them? It could mean your shingles are deteriorating. If you have curled or cracked shingles, they’re aging and also breaking down. Check to see if all the tabs are intact and if you have any that are missing. Do you have a chimney or other roof penetrations? They’re a potential problem area and need to have water-tight flashings around their base. After a heavy storm or rain, go into your attic and check for any moisture stains or leaks. Also, again in your attic, see if you can see any sunlight streaming in through the roof boards. If you find any of these warning signs, call a local roofing contractor and get your roof inspected. You need to interview several roofing contractors so you can figure out an honest and reasonable price range that you’ll need to pay. You don’t want to make your final hiring decision based on a few hundred dollars for a project that could cost several thousand dollars, but you should be careful of any extremely low or extremely high estimates. This will also give you plenty of opportunity to build rapport and trust with the company you hire and to stick to the other rules for hiring a roofing company. Besides interviewing several different roofing contractors, it’s also important to do some research on the company you ultimately choose to hire. Reputable, honest companies will be willing to provide you with at least three references verifying they do great work. After you’ve checked your roofing companies out and you’re satisfied that they’re legit, hiring a roofing contractor will be much less stressful. Never sign a contract without reading it over very carefully. Professional contractors won’t be bothered by you taking the time to read through and understand the terms of your contract, and most will be happy to sit down with you and explain anything you don’t understand. 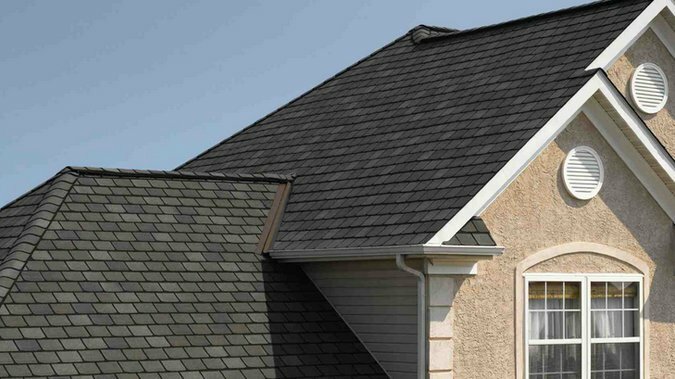 You also need to make sure you understand the warranties that come with your new roof. All materials and workmanship should be guaranteed for at least 2 years, preferably 5, and the roofing itself ought to come with a 20- to 40-year warranty. Before work begins, make sure to cover your bases. Check with your contractor about whether you need to acquire a permit or not (most roofing companies will take care of this as part of their service), and make sure their crew is covered by workers comp insurance. Finally, if you’re submitting an insurance claim on your roof, make sure you’ve followed all the necessary procedures and had all work approved before work on your new roof is started. Get at least 3 recent past customers and 3 customers from more than 3 years ago from the company and call them all. The recent ones will tell you about their current customer relations and quality of installation and the customers from several years ago will tell you how well they handle long term relations and customer service issues as problems arise, as they inevitably will with a new roof. Also, check the company’s reviews, rating at the Better Business Bureau and anything else you can find online. This will give you a good idea of any red flags the company may have with unresolved recent customers. Better to be safe now than sorry later. Of course, there is no magic pill for hiring the right roofing company. 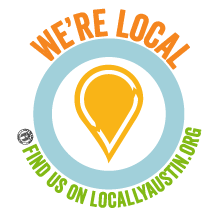 To have us schedule a free, no-obligation consultation about your new roof, give Armadillo Roofing & Exteriors a call at (512) 333-7663.